AOL announced 150 layoffs, mostly in sales, and will now merge its two online properties Joystiq and TUAW into Engadget, reports say. Gaming site Joystiq and Apple news site TUAW will now be mixed into Engadget, but it's unknown how many workers will be officially absorbed and how many will be laid off, according to TechCrunch. AOL Autos has also been merged into the Autoblog. Other AOL UK sites will also be merged into larger sites, such as Huffington Post's UK site. Earlier this month, AOL was reportedly restructuring its online properties. 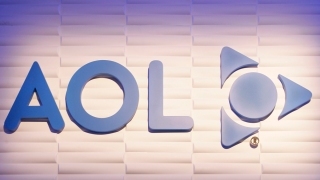 AOL allegedly is investing more in technology than sales, and reportedly why it's laying off so many of its sales team. In the last quarter, AOL made $454.5 million from advertising which is about 73% of all of its revenue for the quarter. However, profits are still made on its subscription rates (yes, those old dinosaurs), TechCrunch reported. In business, simplifying generally means cutting costs and jobs, so it's not a surprise that AOL plans to do so. It's been quickly and quietly cutting its content providers and content budget for several years now.